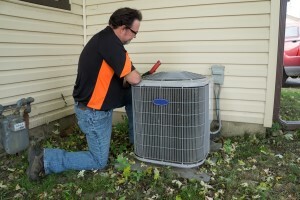 Are You Looking to Install a New Air Conditioning System? Getting a new AC installed is not just about getting the work done, it is about getting the best possible results for the job. This is why it is so important to be certain that you are able to find the best possible air conditioning company. Here in Horsham, PA, local homeowners know the company to call on is Fisher Mechanical Inc. The workmanship that we provide is unsurpassed so your system will reach peak longevity with optimal performance. A cooling system that requires frequent repair work. Especially early on, repairs should be minimal. Energy bills that are the same or higher even though you opted for a more energy-efficient air conditioner. An air conditioning system that needs to be replaced before it should be time. Avoid all of this by letting our experts handle the job for you!